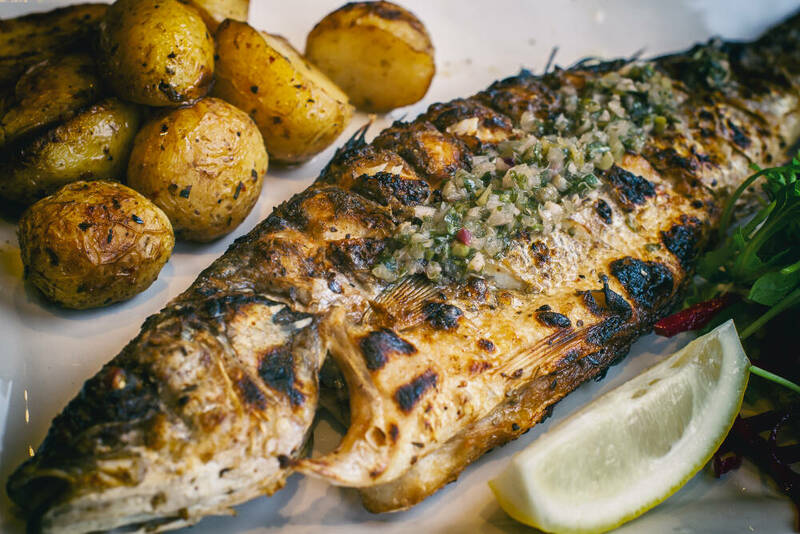 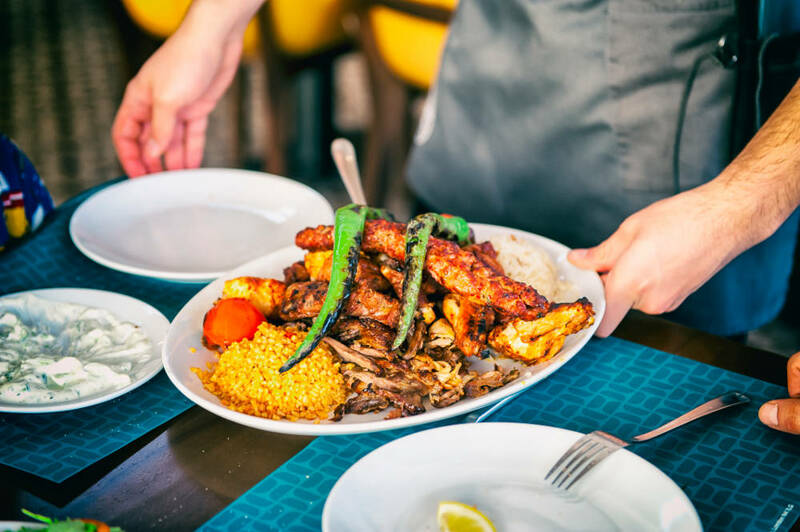 We loved the food we had enjoyed during our childhood days back in Turkey, so we decided to bring all those sunshiny tastes, flavour-packed grills and freshly baked breads from the shores of the Mediterranean to London. 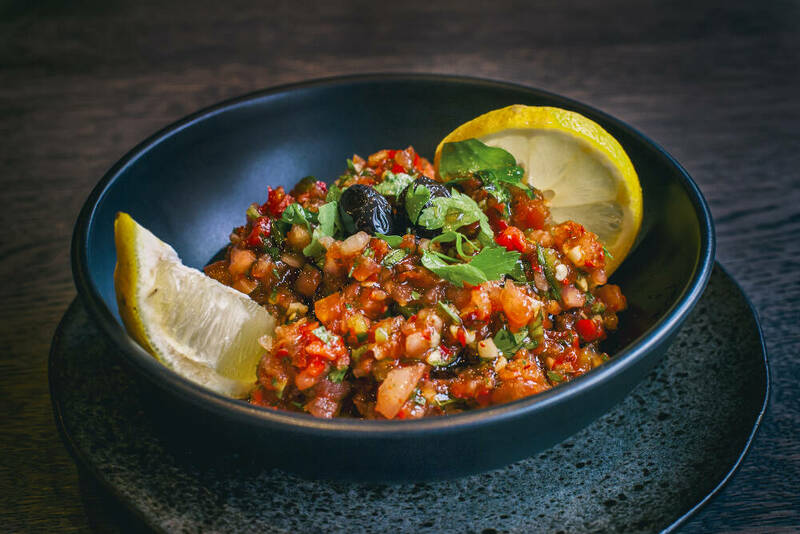 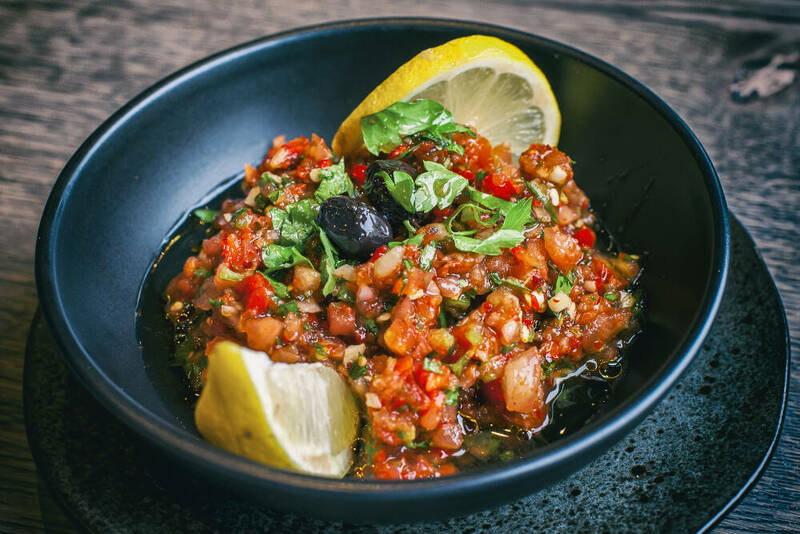 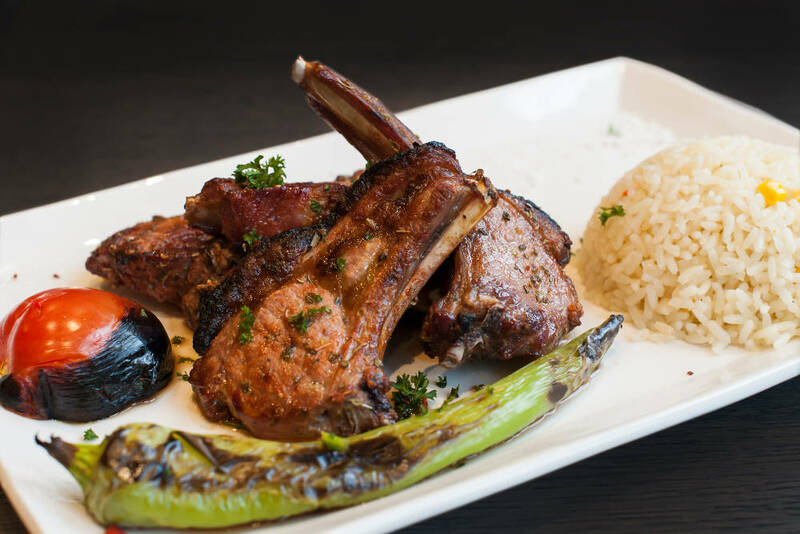 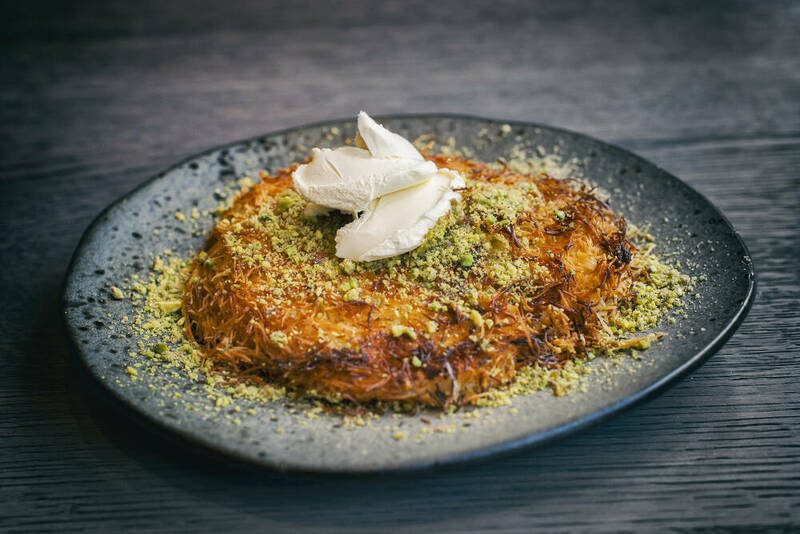 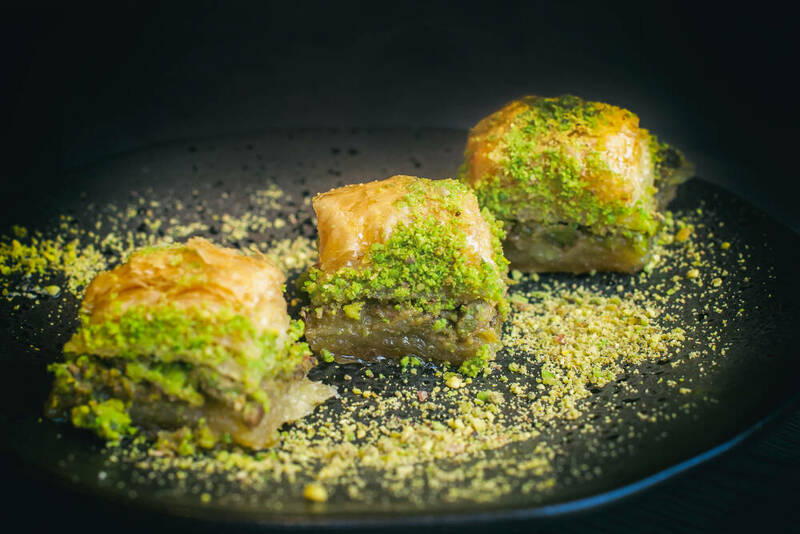 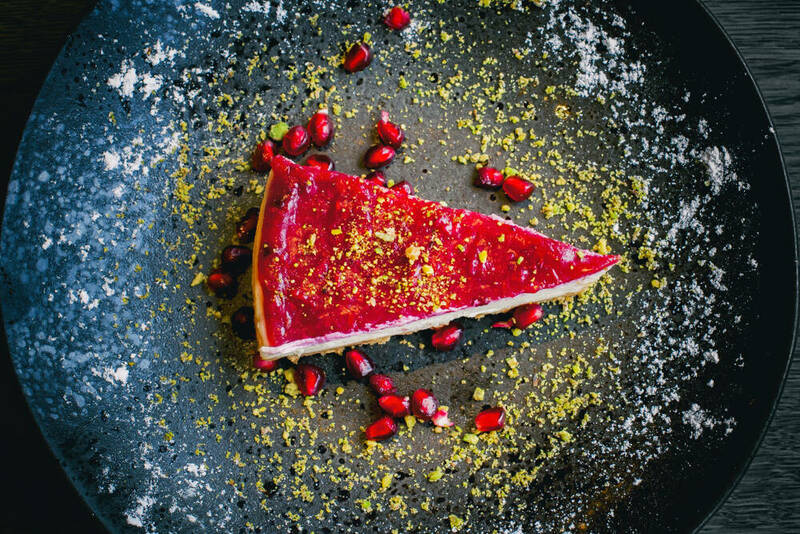 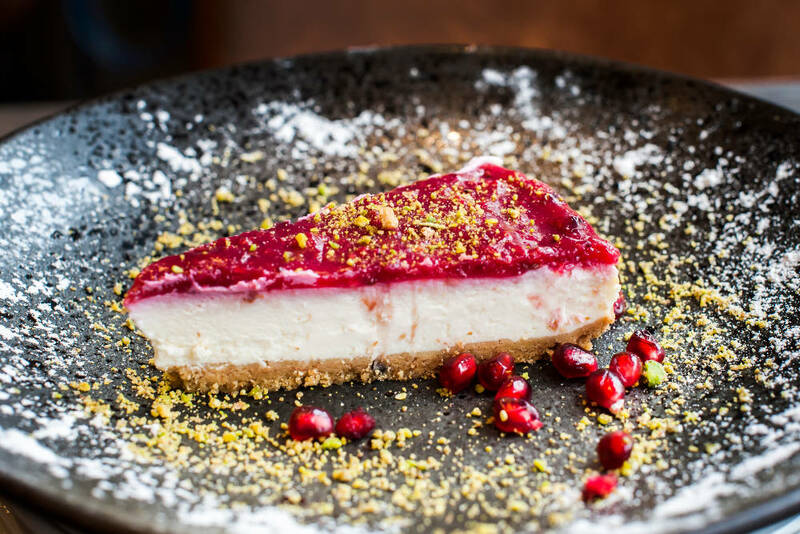 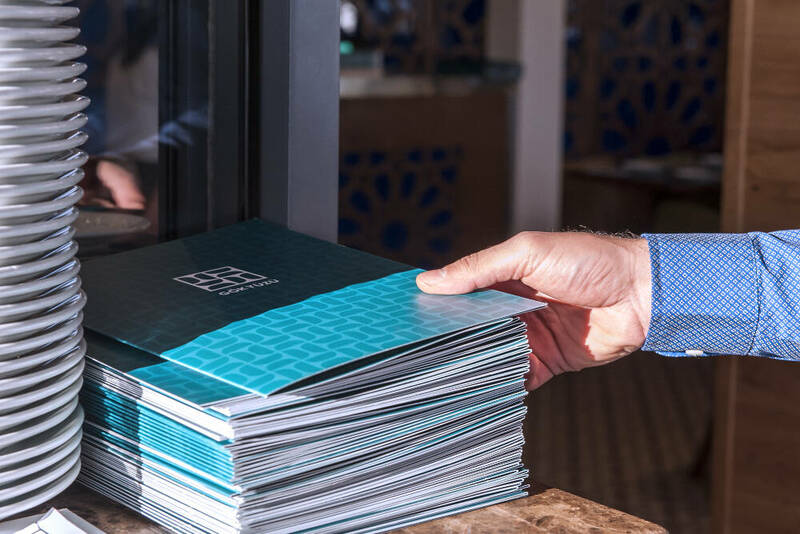 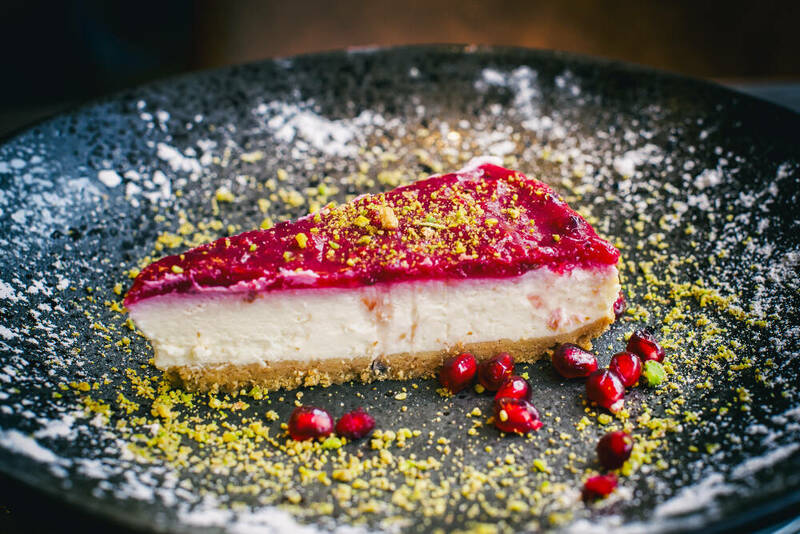 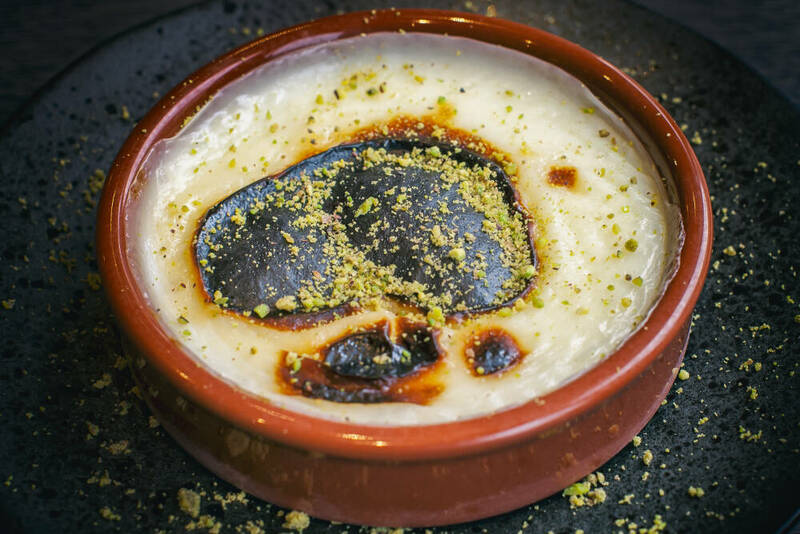 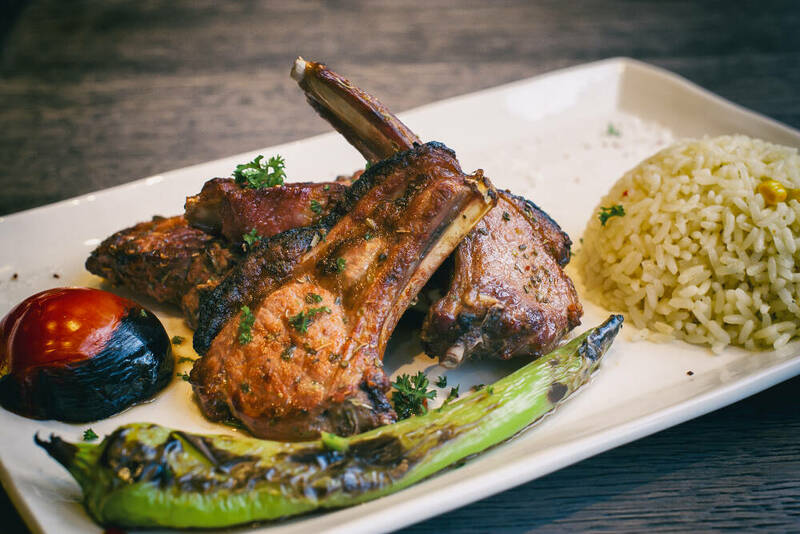 After all, so many diners were travelling to see us in our first restaurant in Harringay – it was only fair to reward their loyalty by bringing the fresh flavours of Gökyüzü to the people of Finchley. 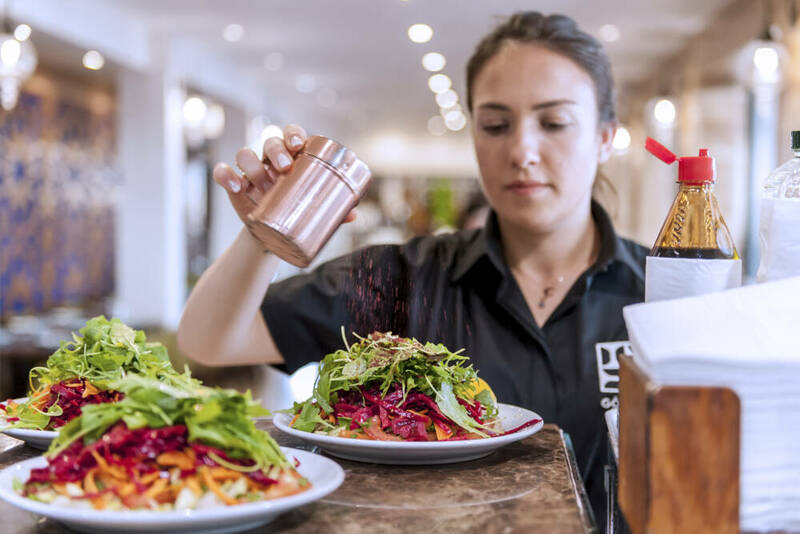 Throughout our restaurants we apply the same principles and family work ethic that helped us create our flagship restaurant in Harringay. 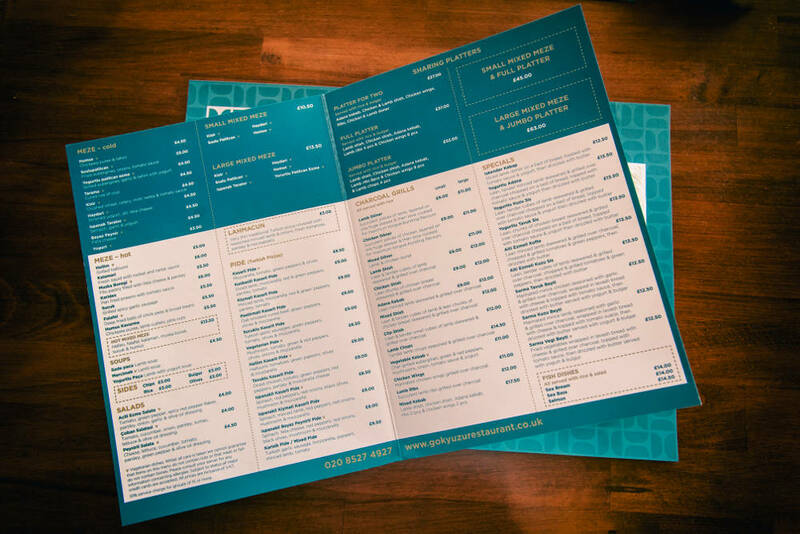 Being able to offer authentic flavours, traditional values and a warm welcome to all our customers is a must for us. 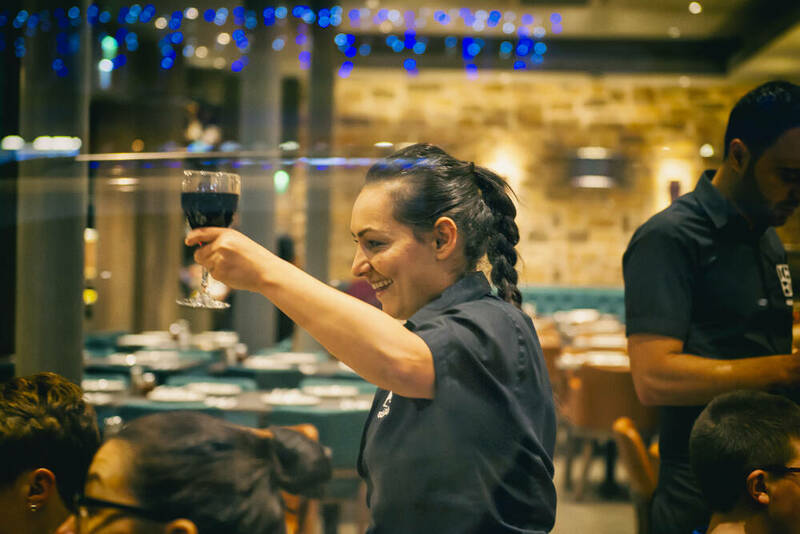 Our talented chefs ensure the same top-notch suppliers provide us with super-fresh meat and produce and our great front-of-house team take care of making sure everyone is having a great time. 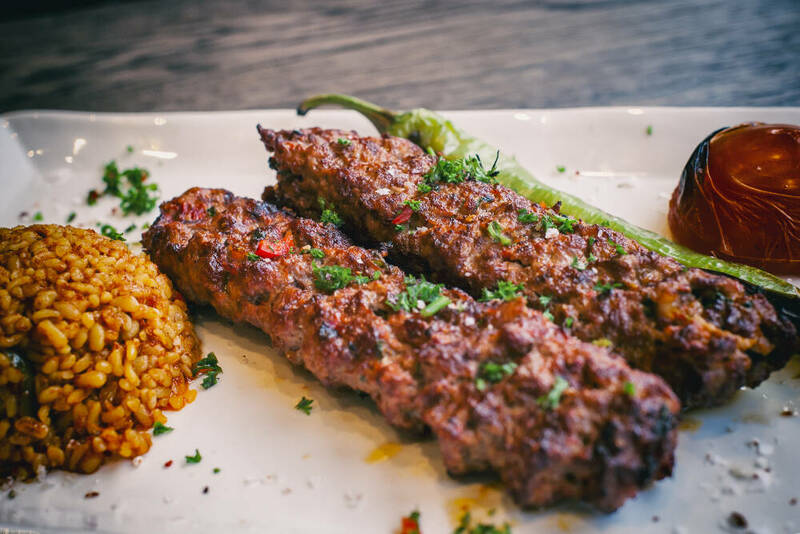 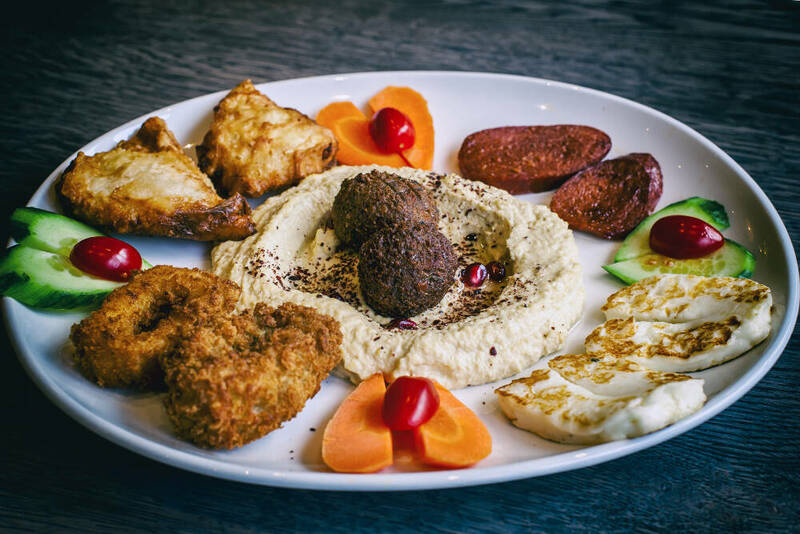 Turkish food ticks all the boxes for vegetarians and meat-lovers alike. 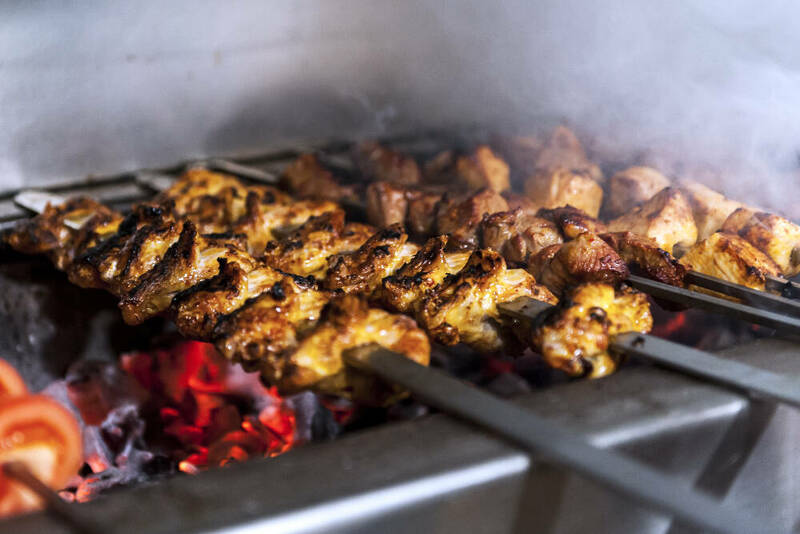 Here at Gökyüzü we use a traditional charcoal grill to produce succulent kebabs and authentic barbecued meat dishes. 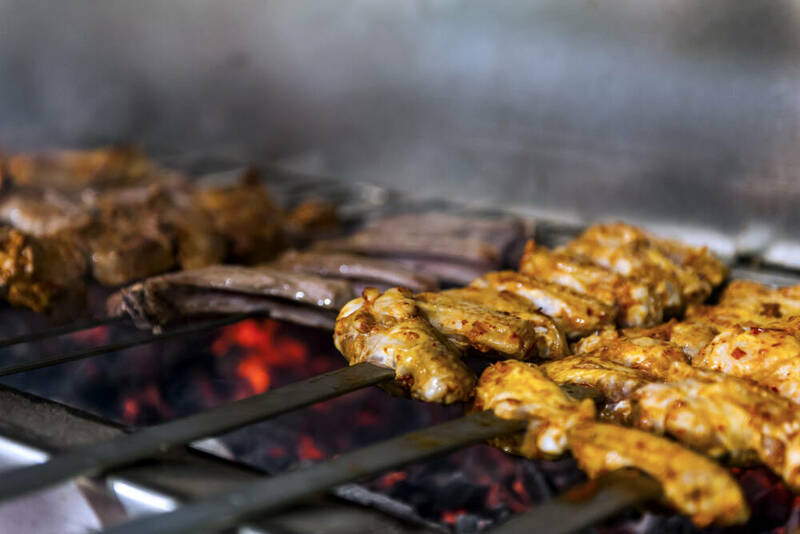 Delicately flavoured and marinated choice cuts of meat are cooked to order. 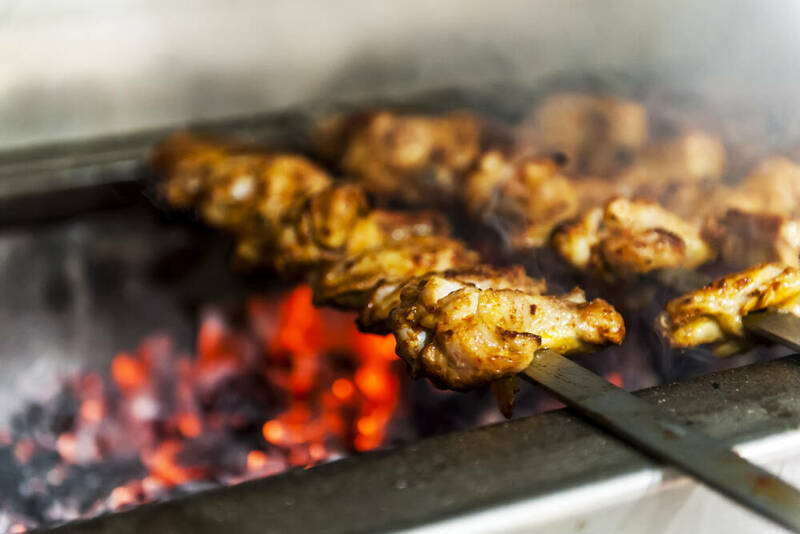 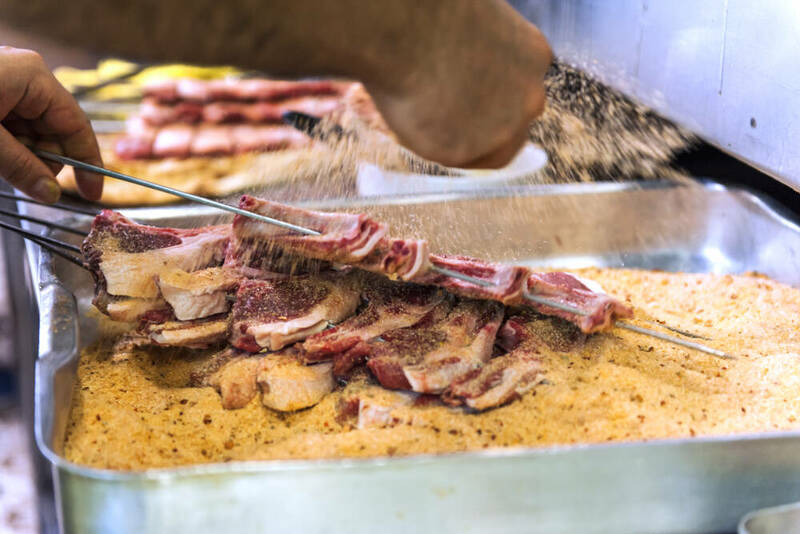 And if you like your grills, you’ll be spoilt for choice: shish or doner kebabs, wings or ribs – and we like to serve everything with freshly prepared rice, crisp salad and freshly baked bread, with our compliments. 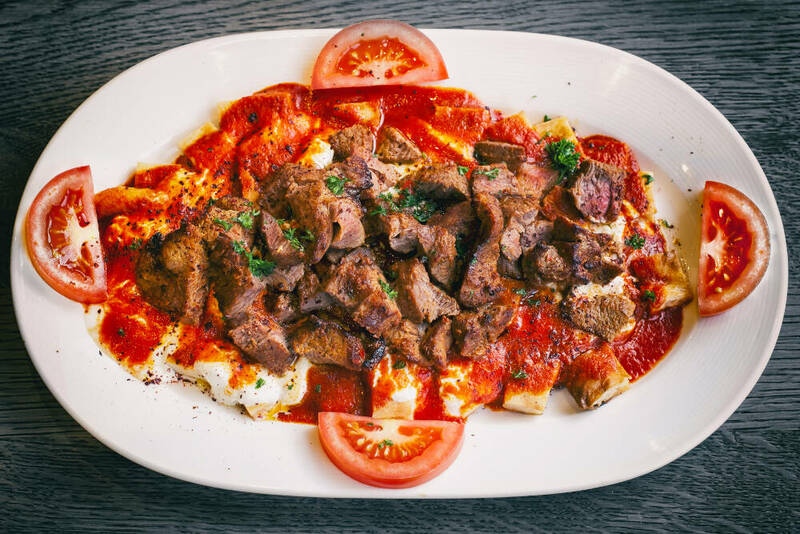 Our Turkish pizza, or pide, is a must-try. 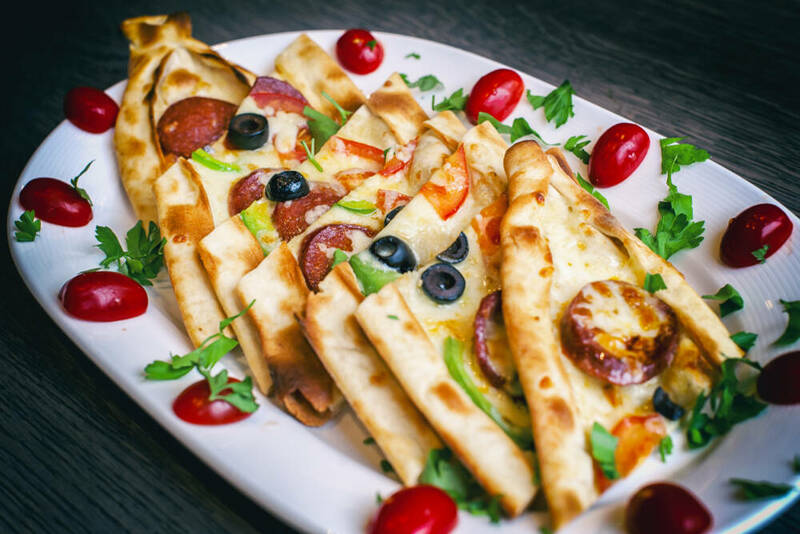 At present we serve nine different types of pizza – and there’s something for everyone, including the traditional lahmacun, an extremely thin pizza topped with minced lamb, parsley and peppers. 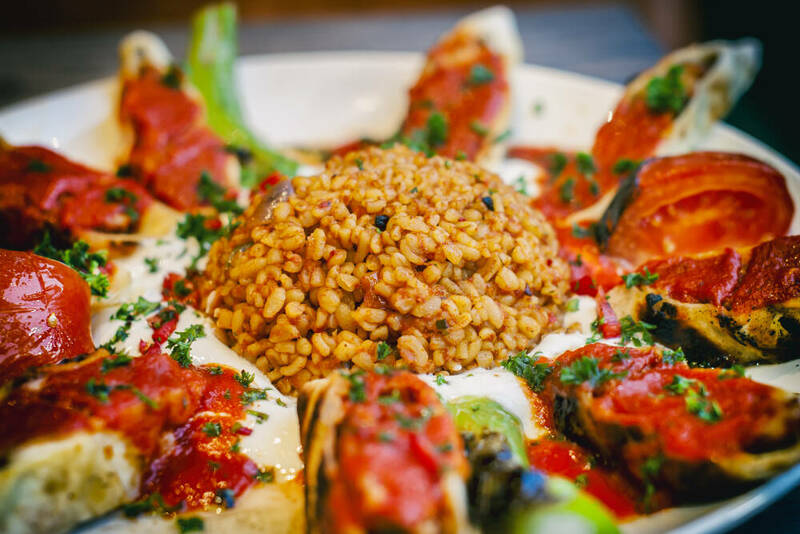 Some of the most popular choices are Kuşbaşılı Pide (topped with diced lamb and peppers) and Kaşarlı Pide (with mozzarella, peppers, olives and a fried egg), which is favoured by those looking for a vegetarian option. 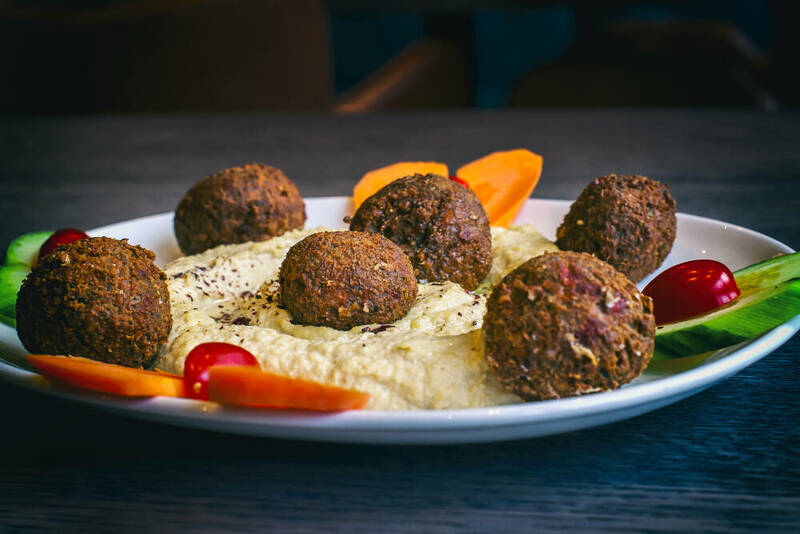 And it’s not just pizza on offer for those looking for a non-meat option. 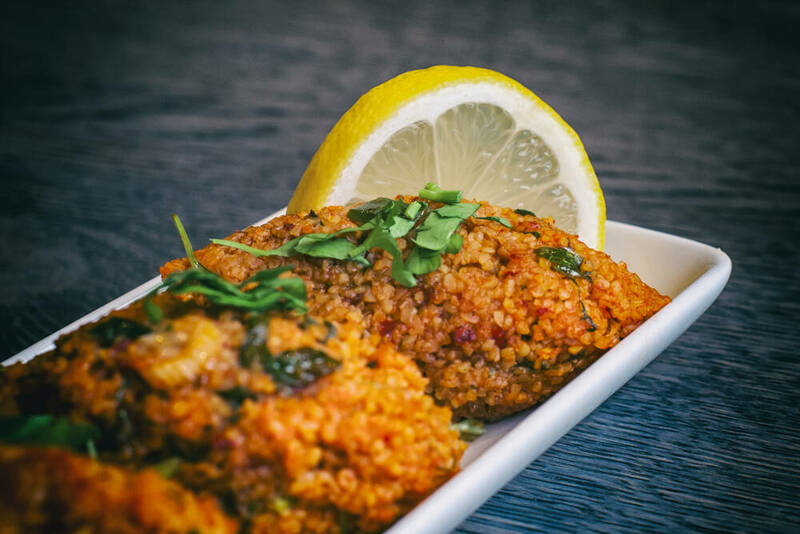 Our menu boasts many dishes that are meat-free. 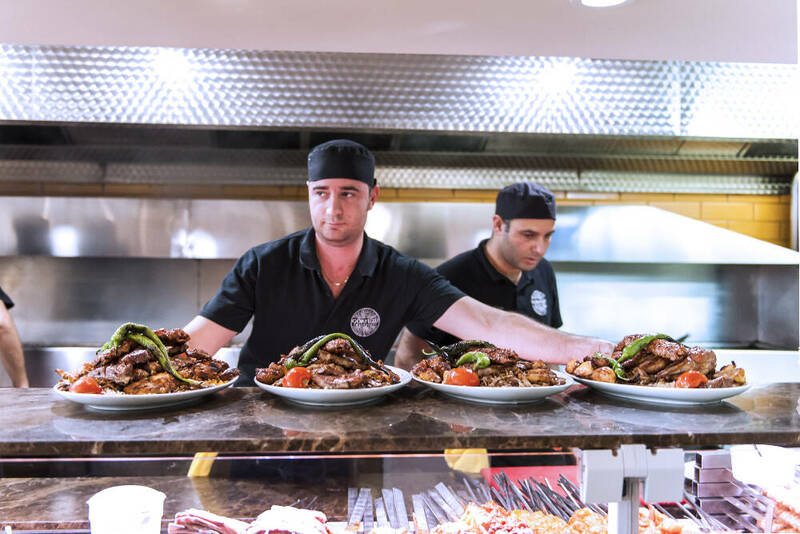 In fact, no one goes hungry at Gökyüzü – our generous portion sizes are legendary, as is our hospitality. 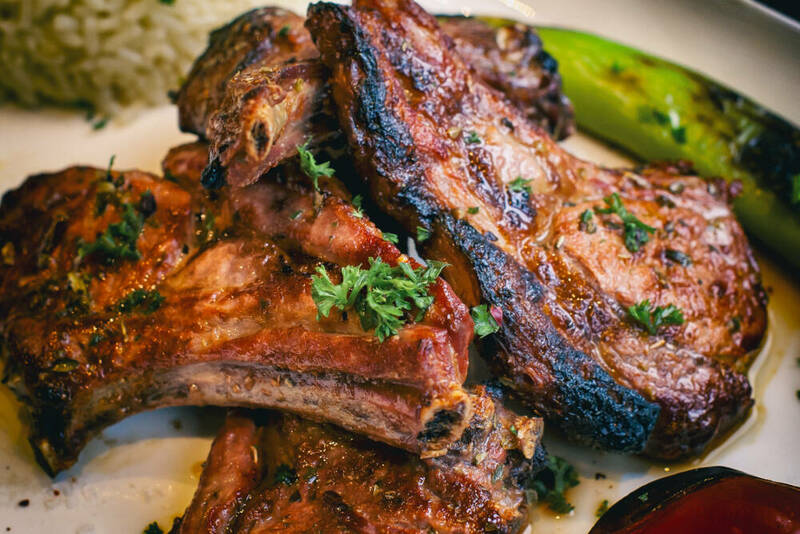 We strive to accommodate all tastes and requirements. 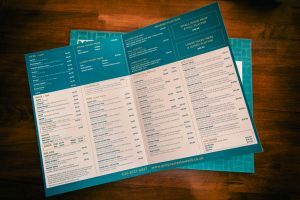 You can read more about our menu options here. 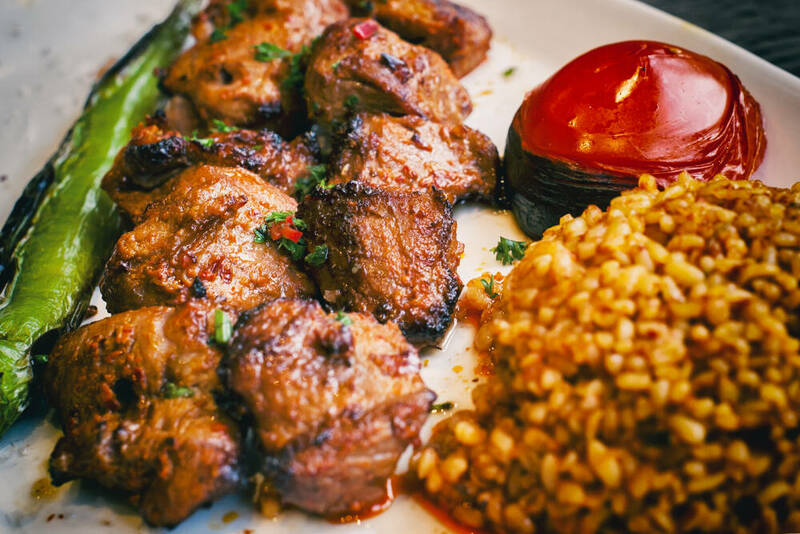 Mezes, mixed platters, daily stews, speciality soups and amazingly fresh salads…everything is homemade using well-sourced ingredients – we pride ourselves on the fact that we’ve used many of the same suppliers for almost 20 years. 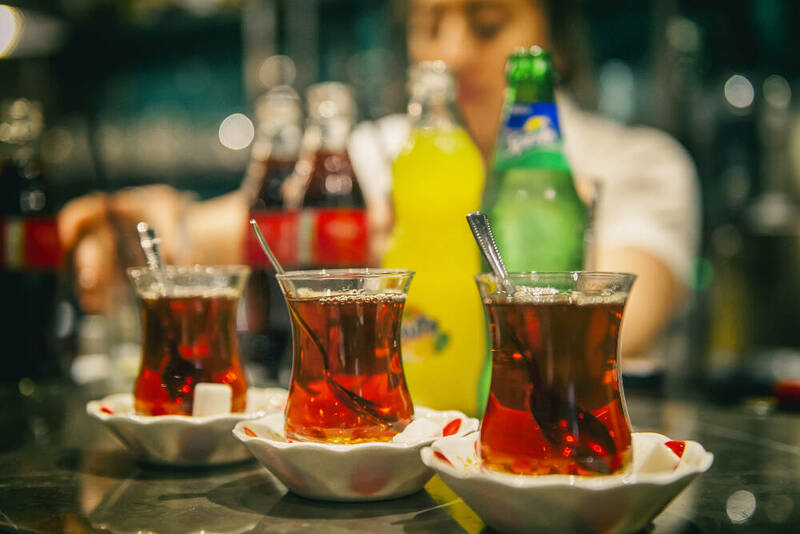 And from our complimentary dips served with freshly baked bread* (a new batch is baked every two hours to ensure ultimate freshness) to our Turkish tea (the first cup is always free), you won’t find a more authentically Turkish restaurant in London. 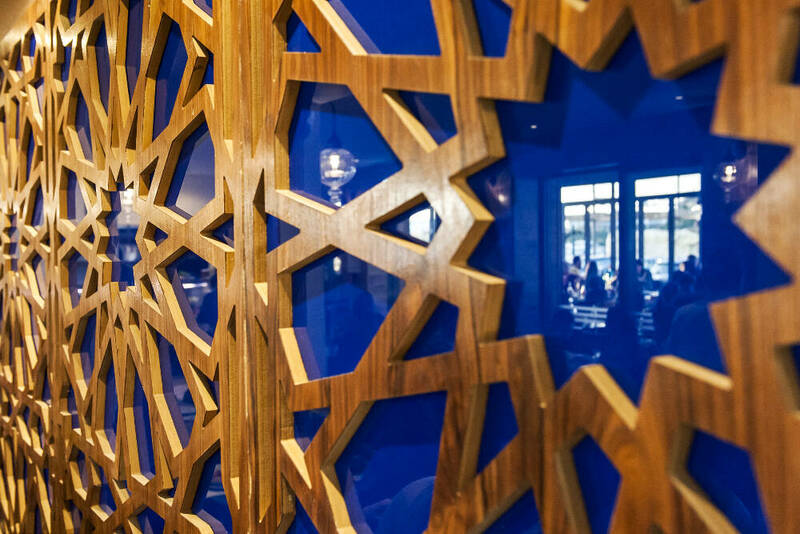 We look forward to welcoming you to Gökyüzü very soon. 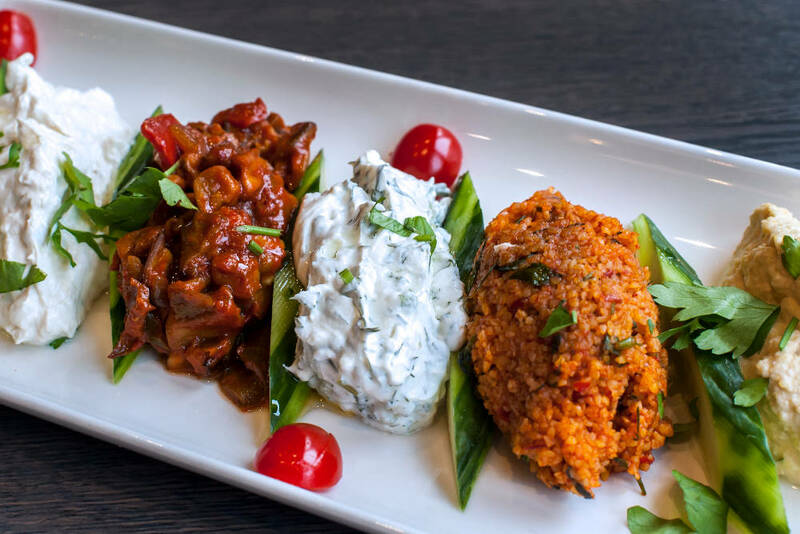 *With every meal we offer our guests complimentary Turkish breads and accompanying dips. 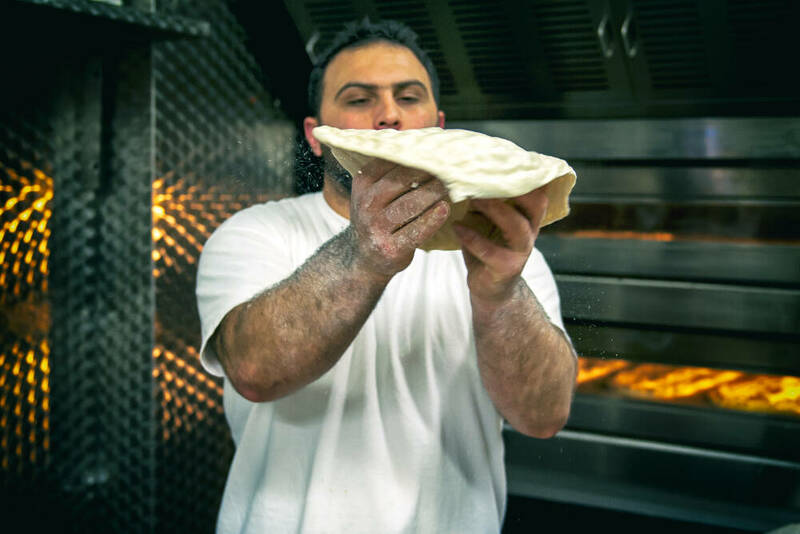 We’re famous for our breads: our bakers make the dough in our kitchen and the loaves are freshly baked every two to three hours, so the bread is as fresh and tasty as it can be.